Fabulous Miniature Doll Artist Anna Hardman and graciously lets us publish her corset tutorial on our Blog. Thnx Anna! I have created a miniature hourglass corset to share with you today. It is for a curvy full figure. My dolls do not have Victorian thin waists. Their bodies are more anatomically correct, closer to modern day figure. I had to adjust the pattern I made for my doll, and tuck in extra material at the hips. Enjoy! Select your fabric. You can work with silk or cotton. Most of old day corsets were made of heavy canvas. I chose pretty cotton fabric and added fine interfacing on the back for extra durability. Make extra copies of the pattern. First transfer the pattern on the Freezer paper. I used light and glass method of transferring. Iron your patterns on the fabric. Cut out your pieces. Carefully peel the paper off the fabric. Run a tiny bead of glue on the seams, press with the iron. Your Corset starts looking like something now. Now add fine laces or trim of your choice to the top and bottom of your miniature corset. I also glued tiny pearls to the front to imitate buttons. You can skip this step. To create sophisticated lacing on the back you need to practice. It takes some experience, and there are a couple of ways of doing it. Please refer to the photos below to see both ways. Oh, I just love this doll! Superb one! And great corsert tut! Thank you, Anna. I can't wait to put this to use. What a pretty picture and what a lovely doll! I love the corset and also the paniers. Can i buy the pattern for the paniers?? I think your Blog is great, very informative and inspirational. Thank you, ladies, for kind words. 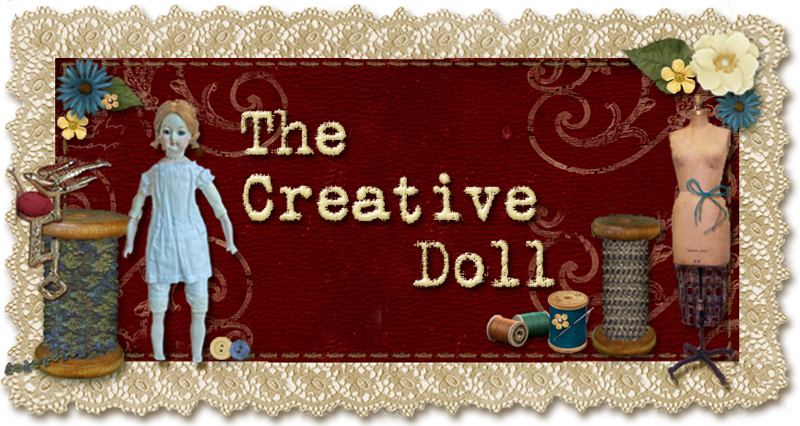 The doll was fun to make. Undergarments are just as important as the gowns. :) Margot, I am very sorry, but I do not have a tutorial or a pattern for the paniers. I usually make dolls on the spur of the moment, without creating a pattern, very seldom I would actually develop one like the corset one. That is why I hate commissions. Those paniers did give me a lot of headache just to understand them. I did throw away the first ones. I used thick fishing line to put inside to keep them standing on the sides. The rest was folded, hand-stitched fabric, then gathered at the waist. Hope this helps. amazing....... like everything you make. Hermoso! Muchas gracias por compartir! Magnificent! Beautiful doll and well done corset tutorial!